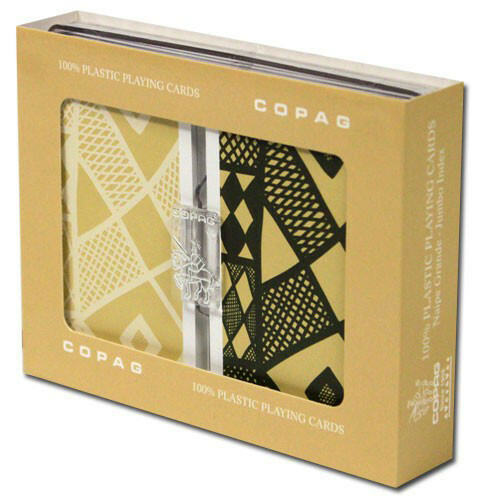 The COPAG Ethnic plastic playing card set comes from COPAG's Silver Line and offers a truly unique set of cards for your home. 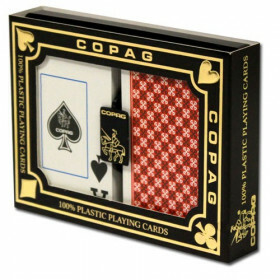 Included in this set is two decks of high quality COPAG plastic playing cards (Black and Tan) in a protective case. 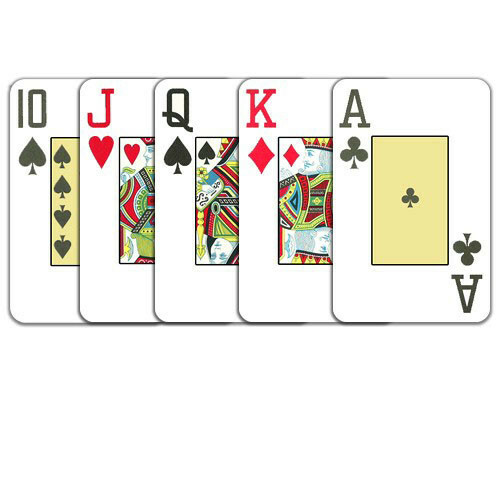 The cards are bridge sized (2.25" x 3.5") and have a Jumbo Index (larger numbers) for easy playability. 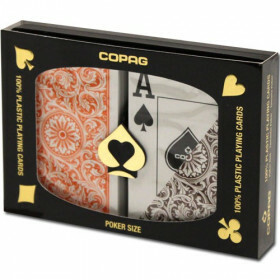 Set your game apart from the crowd with this cool and smooth set of COPAG plastic playing cards from their Silver Line. 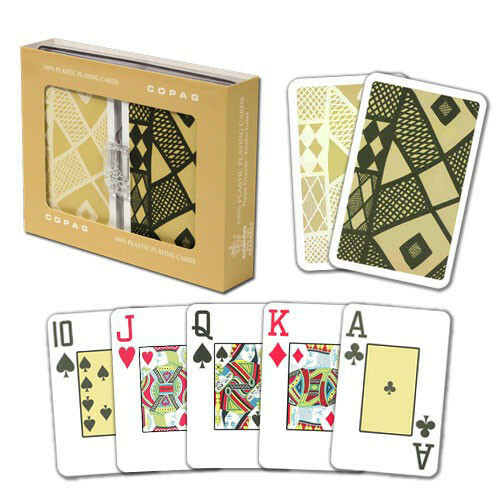 These uniquely designed playing cards set a casual tone for your card game, and get away from the everyday blue/red sets everyone else has. 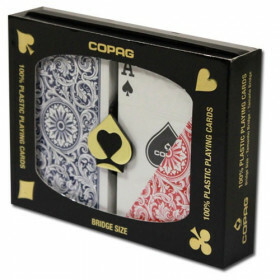 Make your game memorable with a high quality set of COPAG Silver Line Ethnic playing cards today! 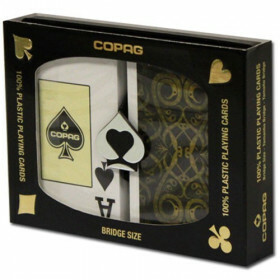 Along with the cool and casual look you get with this set, you also get the high quality and durability you expect with a set of COPAG plastic playing cards. 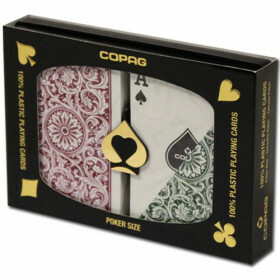 Thee cards will last up to 50x longer than standard playing cards, plus they are washable! 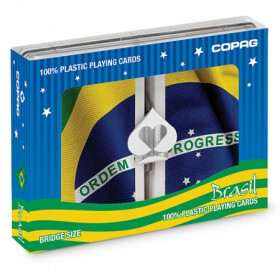 No more worrying about spilling your favorite drink and ruining your cards! 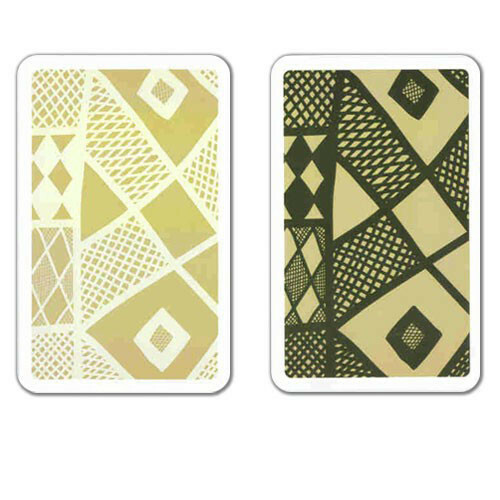 Just wipe them off with cold water and they are as good as new!